Fees associated with filing industrial design applications in Iran as well as other design fees are available in the fee calculator. The term for filing an industrial design application in Iran claiming priority is six months from the priority date. Restoration of this term is not applicable. To obtain a filing date, it is necessary to submit the name and address of applicant and inventor, drawings, photographs or other graphic representation of the industrial design, summary description, applicant's company incorporation number and an indication of the kind of products for which the industrial is to be used. Multiple class design applications are not possible in Iran. The Power of Attorney should be submitted within two months from the filing date. Legalisation is required. A copy of the priority document in Persian should be submitted within two months from the filing date. The legalisation or notarization of the priority document is not required. There is no substantive examination of industrial design applications in Iran. The grace period is not stipulated for industrial designs in Iran. The official grant fee should be paid within 60 days from receiving the notice of allowance. 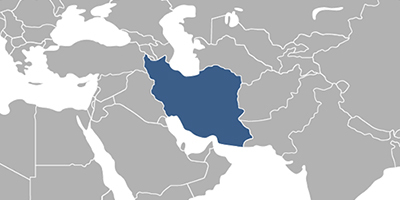 The design registration in Iran is valid for five years from the filing date. It can be renewed for two consecutive terms of five years. An application for renewal must be filed 6 months before the expiration date of the registration. For the foreigners, it is necessary to perform an industrial design prosecution in Iran through an agent, a registered Iranian patent attorney. Online database for Iranian Designs.